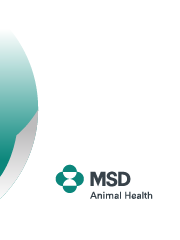 Welcome to the MSD Animal Health Hub, where you can find information on many important aspects of animal health for all species. Some information is available for everyone, but some is restricted for animal health professionals including veterinary surgeons, veterinary nurses and farmers. To see the restricted information, you will need to login or register. Disease? Not On My Farm! promotes the importance of proactive, preventative animal healthcare. It is a farmer-focused campaign, inspiring farmers to take pride in being disease free. Use our mastitis cost calculator to demonstrate the financial impact of this common condition. Review local disease incidences with our interactive heat maps. Learn how we help farmers to understand the value of managing disease on-farm. The Big Flea Project provides information and tools to help vets and pet owners understand the flea population in Britain to fight the threat of fleas! We are conducting a UK wide study to assess the types of diseases carried and spread by fleas, and how common those diseases are. We expect the results to be published in 2019. Keeping Britain’s Horses Healthy has a range of short videos, downloadable booklets and resources supported by articles to provide practical information, guidance and advice on many common equine health topics.